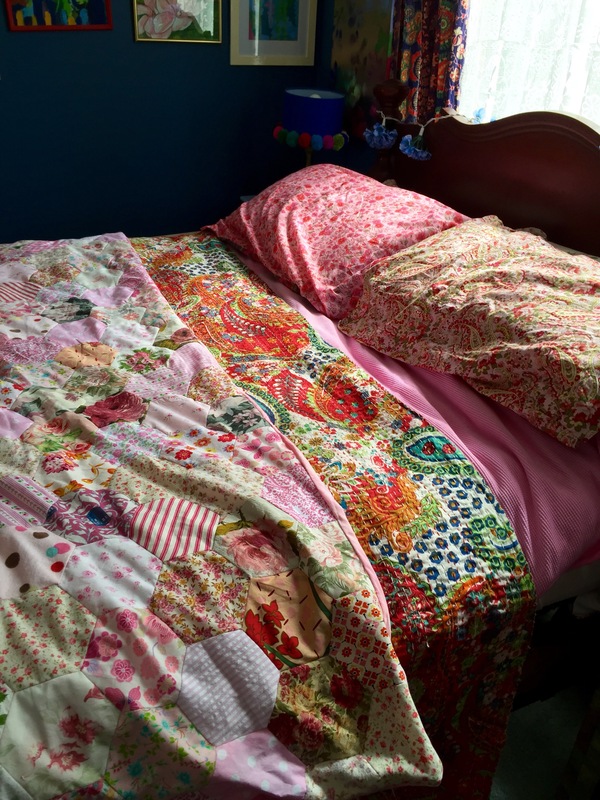 I finally finished my pink patchwork blankie, so this month’s bed post is pink and red, using my patchwork and my favourite red Kantha quilt. 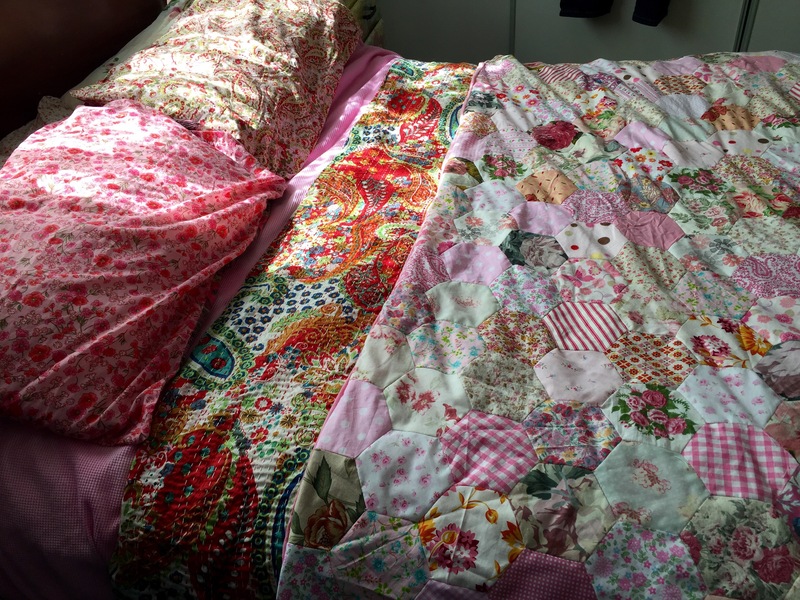 This entry was posted in Bed Posts, Craft Projects, Home DIY and Decor and tagged bedlinen, bedroom, bohemian, boho, craft, decor, fabric, indian, kantha, patchwork, Pink, red, sewing, vintage. Bookmark the permalink. What a lot of work- but a great result. 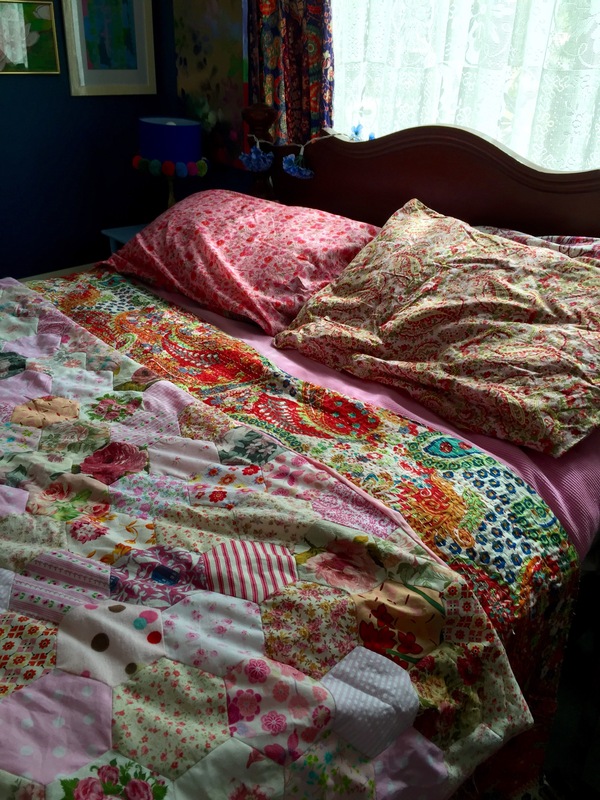 I love the look of a mixture of retro fabrics and strong colours. Thanks! 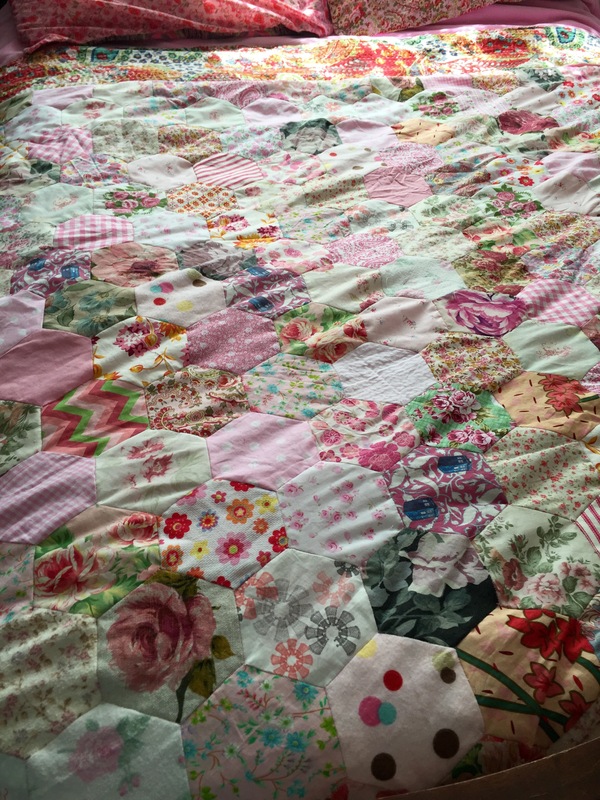 It was a lot of work, but things like this keep me productive when I’m vegging out in front of the telly.